HomeElder I. Batman: Miguel is Baptized! 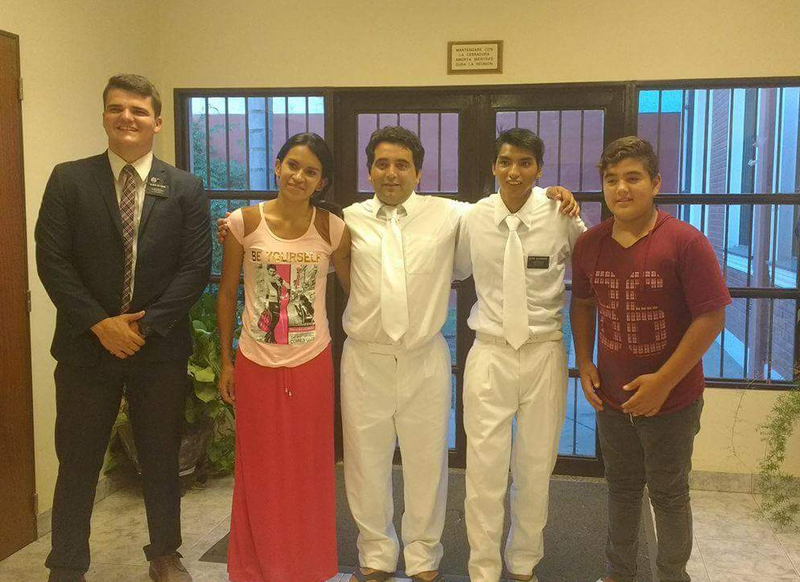 Elder I. Batman: Miguel is Baptized! MIGUEL WAS BAPTIZED. It was so great to see. Miguel is a great guy. I have really seen a lot of change in him in such short time. The service was very powerful and uplifting. His wife is a recent convert and they are just so happy. She is so happy that her husband has found the truth that this really is the true church of Jesus Christ, that this is the path that he needs to take. Melina, Miguel´s wife. Bore her testimony after the baptism. It was so powerful and had so much love for Miguel. I am so happy for him. I´ve really come to love la Familia Santucho. Joaquin, the nephew of Miguel, will be baptized this Saturday! Being a missionary is the best.